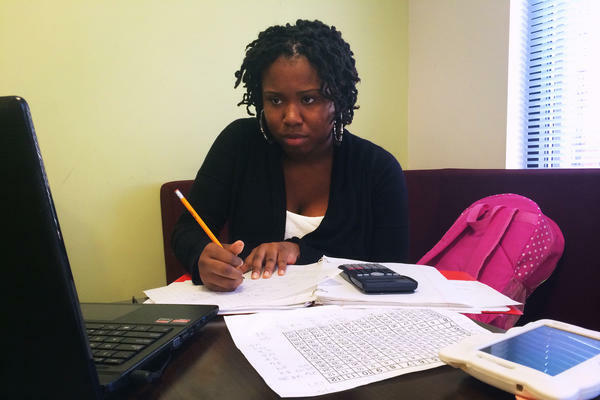 Ashjame Pendarvis, a first-year community college student, works on her math homework at the University of District of Columbia. The answer: Subject X equals the course sequence known as developmental or remedial math, and especially its final course, algebra. "Here at LaGuardia, and at every community college in the country, it is the single most-failed course, and the gateway" that determines who graduates, says Gail Mellow, the president of LaGuardia Community College in Queens, N.Y.
Mellow is one of a growing number of educators out there who believe it may be time to rethink the algebra requirement. "More than half of the students who come to LaGuardia are not ready for college-level math," she says. "We're pretty typical that way. Should we take them back through high school just because math is important? Or should we take seriously the fact that these are adults, they're overwhelmingly poor, and we want to give them the type of skills that will be useful in their lives?" Ashjame Pendarvis, 20, is studying in the lounge at the University of the District of Columbia Community College with her laptop, calculator and papers spread around her. She's taking the most basic level of math at UDC. She plans on majoring in infant and early childhood education, but she has to get two semesters of remedial math out of the way before she can start on courses relevant to her major, and two more of college-level math before she can graduate — a typical required math sequence. "I feel like, if math isn't important in your career, then there is no need for it in college," she says. "What's the purpose of wasting your time and your money?" Anyone who's had to deal with math homework probably has heard, or uttered, a version of that complaint. What's surprising is that educators like Mellow agree with Pendarvis. They're trying a new way of teaching math that gets rid of most algebra altogether. 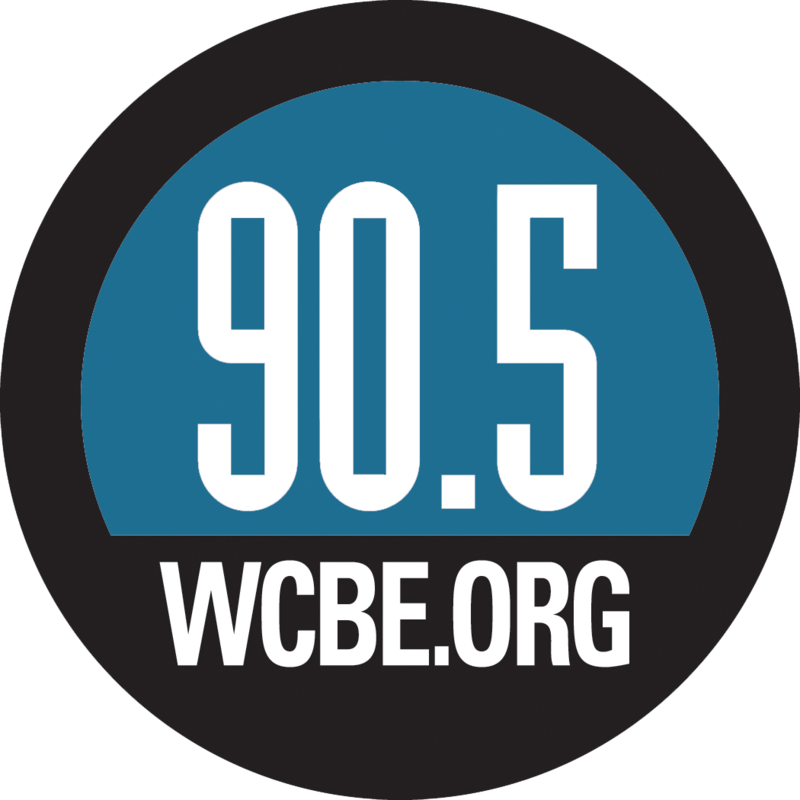 It's being tested on almost 5,000 students across the country. So far, many more students are succeeding in the courses, which abandon traditional math sequences in favor of new content, new teaching techniques and even a little psychology. "Adult learning theory tells us that adults learn better when the intellectual work is applicable to their lives," says Mellow, who is on the steering committee of an initiative called Community College Pathways. The new approach seeks to largely skip over abstract algebraic formulas and go directly to math concepts that students will use and find engaging. Pathways consists of a yearlong course, Statway (for "Statistics") and a pair of semester-long courses, Quantway (for "Quantitative Reasoning"). "Algebra is useful if you're going to be compounding chemical substances for a manufacturing firm or if you're an engineer," Mellow explains. "But understanding statistics, probability, levels of risk — whether for retirement planning or the risk of your kid getting a concussion in football — those are real-life issues people will face." Pathways tells instructors to emphasize "productive persistence" — using good study strategies, and trying hard. They talk explicitly with students about calming math anxiety. They try things like putting students into study groups whose members are responsible for following up if one of them skips class. And, amazingly, they've found that simply by teaching students that the brain is like a muscle that gets stronger with use (known as "growth mindset"), the students go on to try harder and perform better. So far, about half of the Quantway and Statway students at LaGuardia and elsewhere finish developmental math and earn their college-level math credit within a single year. In the traditional sequence, just 15 percent do the same — and that's in two years. "We've tripled our success rate in half the time," says Mellow. But is skipping algebra cheating somehow? After all, the traditional college math sequence has been in place since at least the 19th century. Karen Klipple, who directs the Pathways Project, says they can prove they're not dumbing down Statway and Quantway. First of all, the material covered in the courses, which do include some algebraic topics, was vetted independently by the Mathematical Association of America, the American Statistical Association and other groups. Second, a report released in July showed that Pathways students, when given the same final exam as other college-level math and statistics students, scored as well or better. A related question is whether creating alternate pathways means tracking students away from math-heavy, lucrative STEM careers. "That's what a lot of people say," says Mellow. "I think that the way we do it now allows students to fail multiple times." She points out that some students who succeed in Pathways gain confidence, and even a love of math, as opposed to the majority of remedial students, who retake courses again and again or drift away from college altogether. "[Pathways] doesn't feel like closing off anything to me. I want students to have more choices and appropriate challenges."